Posted by Victoria Bond to the School Guide Blog on 16 September 2014. 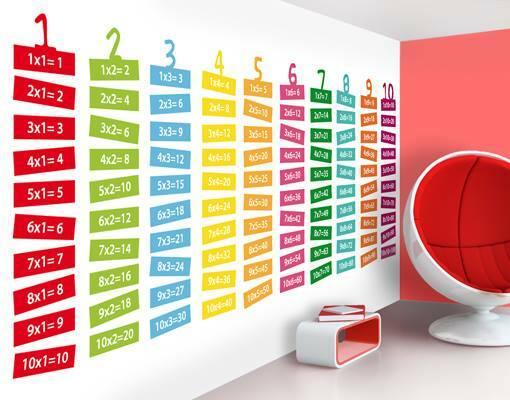 One of the most shared images on the School Guide Facebook page in the last few months features this super stylish maths corner in a primary school classroom. Colour co-ordinated and stimulating, the bright design aims to stimulate bright little minds. Stylish and maths may not often be words that get thrown together but research by University of Salford proves classroom design really does matter. The study found that classroom environment could affect a child’s academic progress over a year by as much as 25%. The study took place across 34 primary classrooms in seven Blackpool schools, and took in to account different holistic issues such as orientation, natural light, temperature and air quality as well as design factors such as flexibility of space, storage and colour. This much-admired mathematical hot spot may not be within the budget of the average British school; it's more Elle Decoration than National Curriculum. However, putting thought in to space, light and stimulating displays could be as important as spelling tests and practising times tables in improving results.